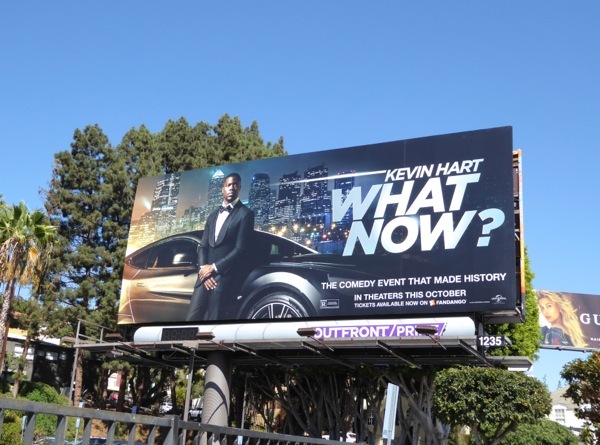 To say that funny guy Kevin Hart is one of the busiest people in show business wouldn't be an understatement, this year alone he was back with his comedy sequel Ride Along 2, hosted the 2016 MTV Movie Awards with and starred opposite Dwayne Johnson in Central Intelligence and even voiced a villainous rabbit in The Secret Life of Pets. 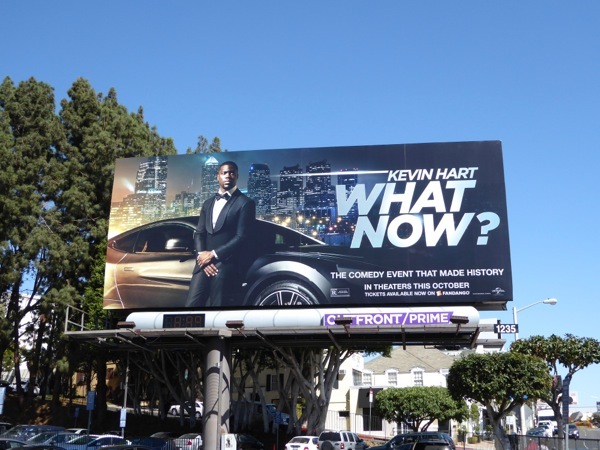 This weekend he's back with his new stand-up comedy film, Kevin Hart: What Now?, a live recording of his sold out tour which filled Philadelphia's football stadium with an audience over 50,000 people. 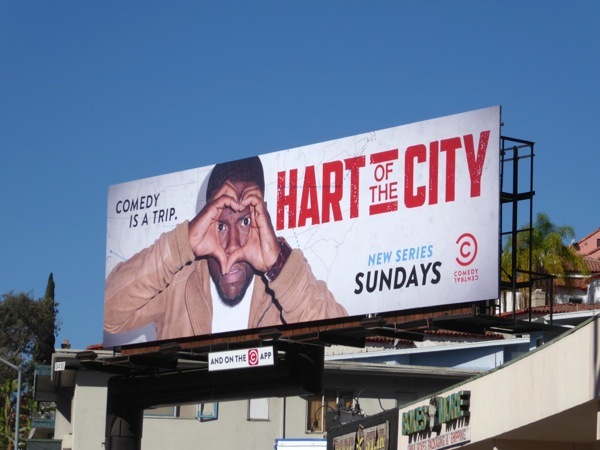 Not only that, but he has a new Hart of the City TV series on Comedy Central where he tours the U.S., hitting the road from coast-to-coast to find the nation's budding stand-up stars in cities like Houston, Philadelphia, Atlanta and Chicago. Just where does the superstar comedian get all his energy from, and where can we get some? This What Now? 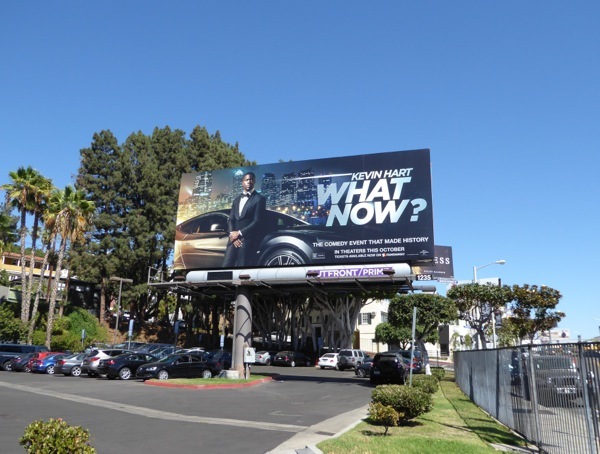 theatrical billboard, with the comedian channeling James Bond, was first spotted along West Hollywood's Sunset Strip on September 30, 2016. 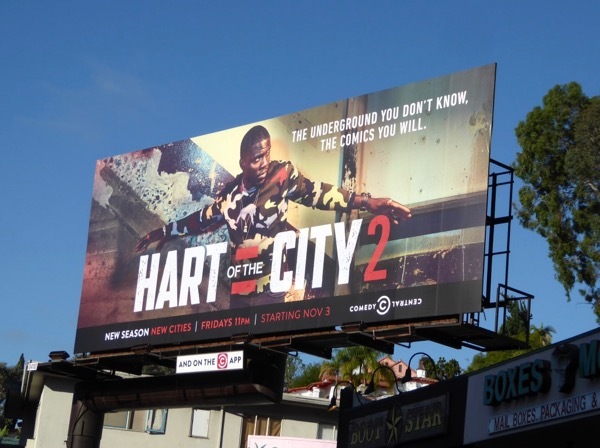 Meanwhile the larger landscape billboard for Hart of the City was snapped along Sunset Strip on September 26, whilst the smaller ad was spied further east along Sunset Boulevard and above Melrose Avenue on September 28, 2016. 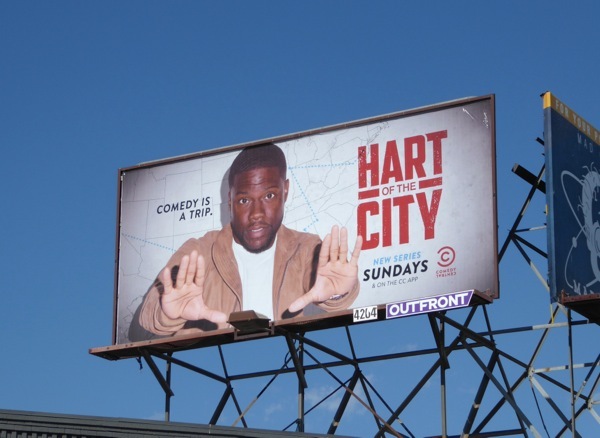 If you heart the talented Kevin Hart, be sure to also check him out in these Get Hard movie billboards, these Ride Along movie billboards, this giant Real Husbands of Hollywood billboard and these film billboards for The Wedding Ringer. 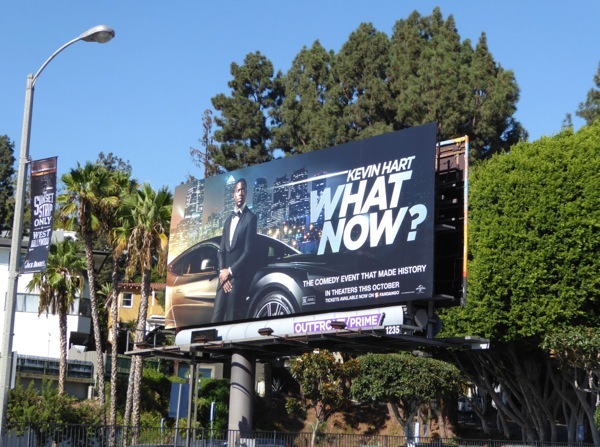 Daily Billboard is sure this isn't the last we've seen of the comedian and actor, so the real question is what's next? 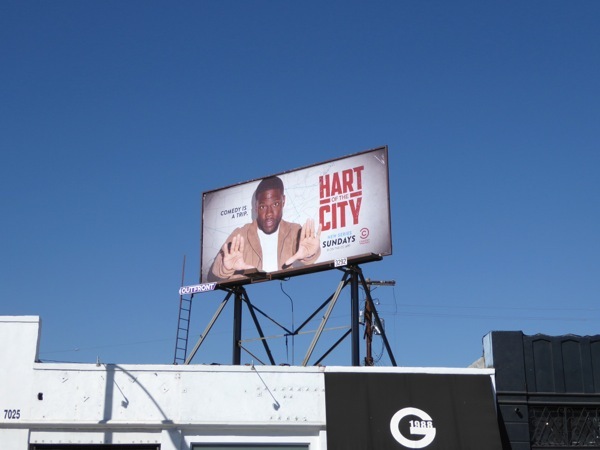 UPDATED: Here's also a billboard for Hart of the City 2 (the sophomore season) spotted along the Sunset Strip on November 3, 2017.